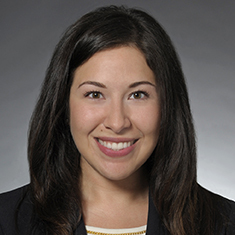 Alana M. Ibarra focuses her practice on Commercial Finance matters. During law school, Alana served as a judicial extern for the Circuit Court of Cook County Chancery Division. She also served as editor for the Journal of Law and Social Policy and was a senior advisor for the Academic and Professional Excellence Program. Additionally, she was a Public Interest Law Initiative intern at the Loyola Business Law Clinic. Prior to attending law school, Alana worked in the structured finance industry. Shown below is a selection of Alana’s engagements.